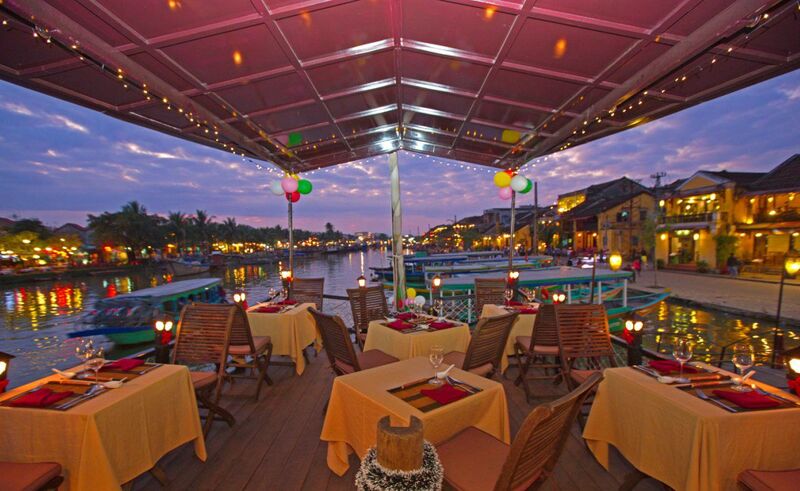 Cinnamon Cruise is a fine dining floating restaurant in Hoi An, a romantic and elegant restaurant for a cocktail or sunset dinner in Hoi An while cruising along the Thu Bon River, observe the Hoi An town light on. 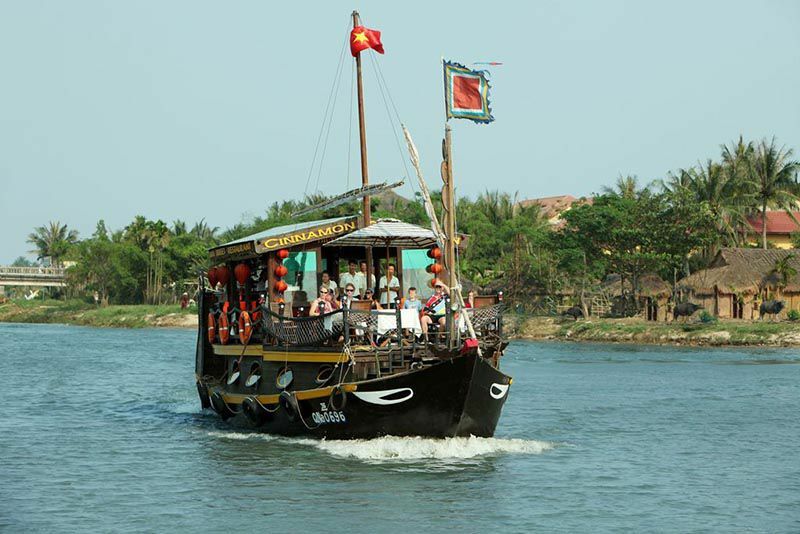 Also a cooking class of Vietnamese food on this boat is another special element of this charming restaurant. Cinnamon cruise offer lazy lunchtime cruises, sunset dinner cruises and cooking class cruises, to special occasion dinners and parties afloat. 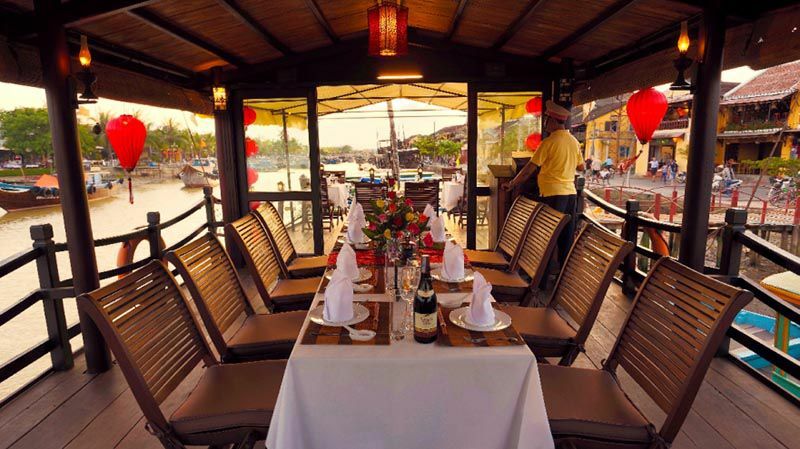 Get on Cinnamon cruise restaurant and enjoy a romantic candlelight dinner while traveling along the river. 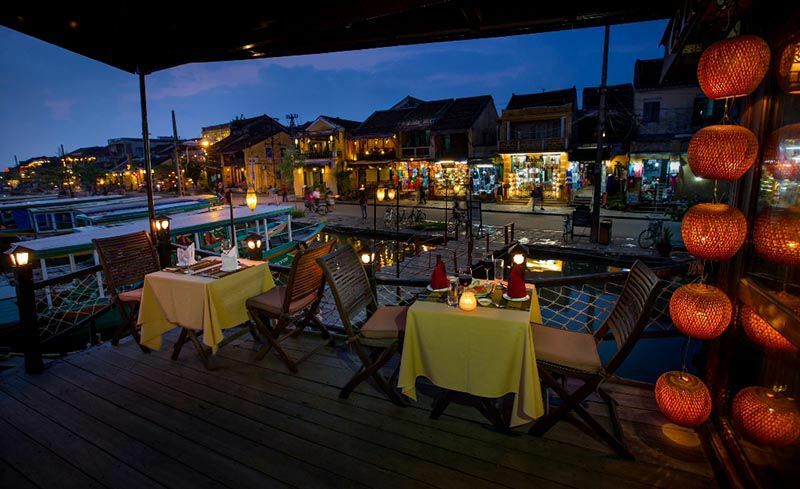 An experience not to be missed when visiting Hoi An old town. Relax on Cinnamon sunset cruise along Thu Bon River in Hoi An, sip cocktails, and dine on fresh seafood on this elegant restaurant. This is a truly blissful excursion – the perfect antidote to a day of walking and sightseeing.